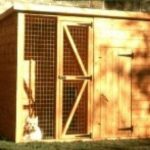 This building hs large double doors providing easy access to a floor area of 6′ x 2’3″ approx it also has a low maximum height allowing this shed to be installed under windows and in other difficult situations. Wooden storage shed. Size: 6’x2’3″ model available. Door: one position double doors. There are seperate doors to the ‘house’ and the ‘run’. The run area is produced without a floor. A sliding door allows movement from the run area to the house. Sizes: House 4’x4′. With option of 4′, 6′ or 8′ run. Constructed with shiplap boards. 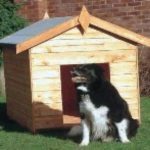 with a floor area of 4′ x 3′ (approx) and opening of 22″ x 16″ it will suit most dogs. The Tool Tower offers a shiplap alternative to the popular budget tool tidy. 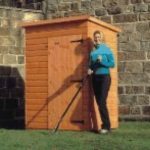 Ideal storage solution for restricted areas. Comes with lock as standard. 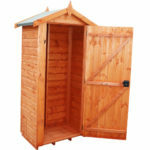 Strongly built to our usual high standards, the tool shed is normally supplied without a window for added security. Tall enough for most people to stand it will accommodate most lawnmowers and a host of garden tools. 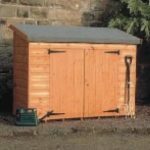 A 3ft or 4ft Deep by 7ft wide (approx) apex building with double doors and adequate height making it ideal for bikes and gardening equipment by providing maximum storage area in the minimum amount of space. Sizes: 3’x7′ , 4’x7′ and 5’x7′ models available. Door: One position double doors. 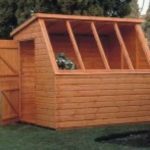 The jewel multi-purpose shed has a striking design ensuring maximum natural light. It comes fitted with a useful full length internal bench mounted under the window. The model shown has a stable door available as an optional extra. sizes: 6’x6′ to 8’x10′ models available.